countertops Archives - Sunworks, etc. You are here:Home » Posts tagged "countertops"
An overview of what integral sinks are, and why a decorative concrete sink and countertop might be right for you. 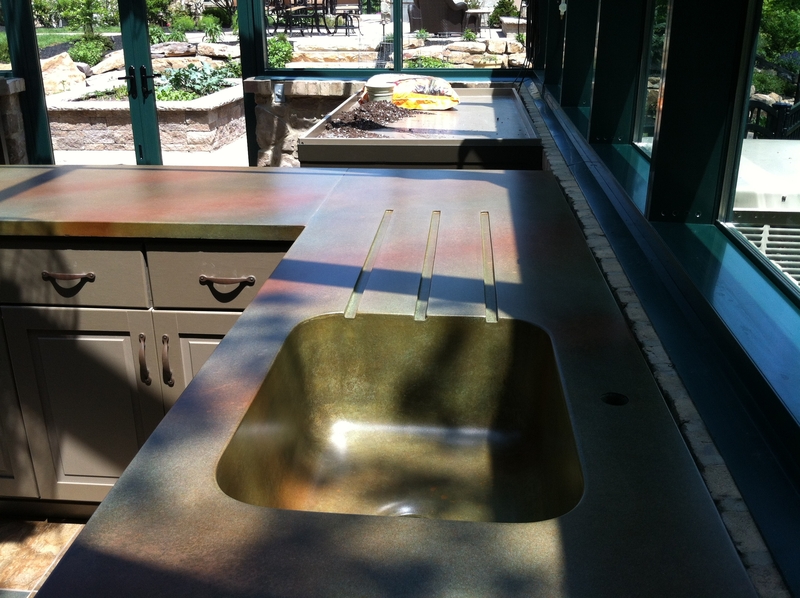 INTEGRAL SINKS are made from the same material as the countertop they are set into. The effect is a smooth transition from sink to counter surface. What are the advantages of integral sinks? 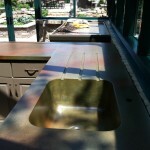 EASY CLEANUP Integral sinks lack a seam between the sink and countertop. Thus, there are no places for food particles to collect in. MODERN DESIGN Integral sinks have a simplistic design allowing the focus to stay on features such as an elegant faucet or artistic backsplash. 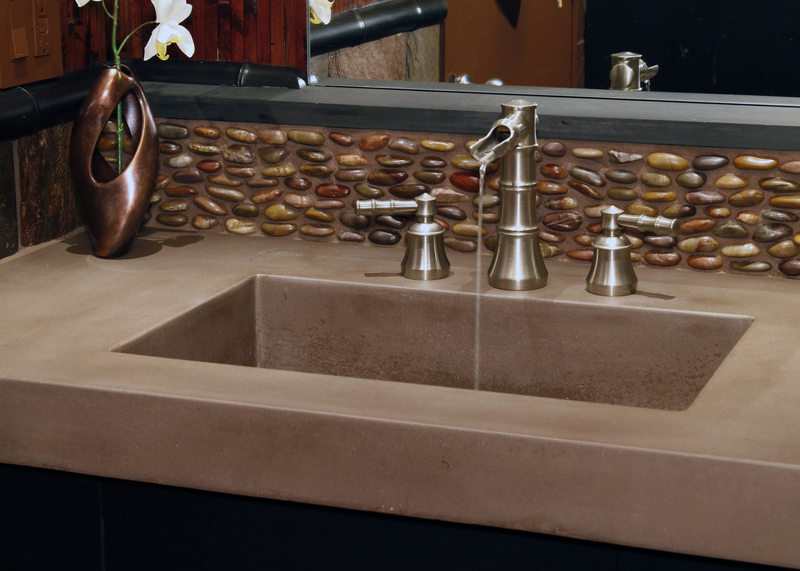 Why is concrete the ideal material for integral sinks? 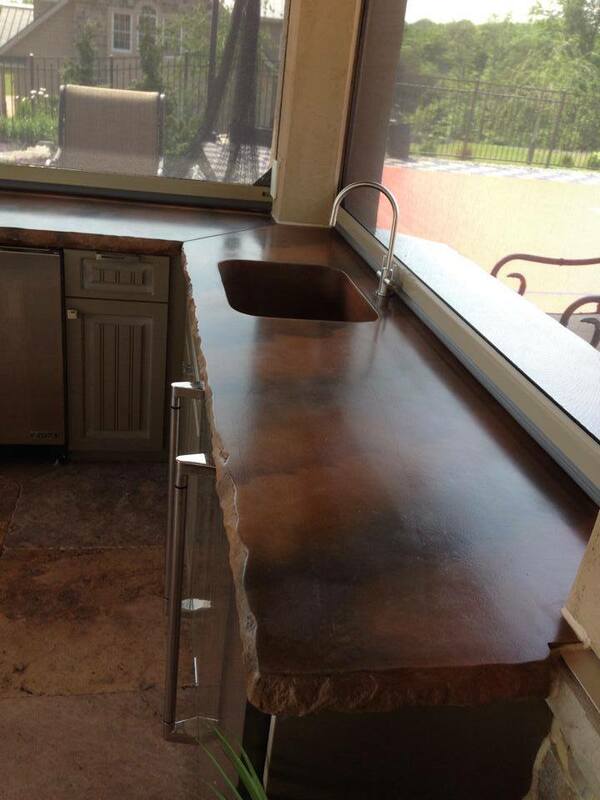 Concrete is an extremely versatile building material that can easily handle both the water resistant sink and functional countertop. Concrete also offers unique style and color options not possible with other materials. 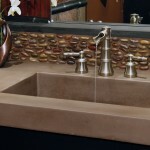 Integral sinks and countertop combinations are considered to be one piece. Therefore, if you have to replace one, the other piece must also be replaced. 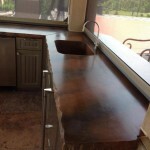 Concrete sinks and countertops for kitchens and baths are the most unique, personal design options because they are handcrafted for each client and can be made in almost any color, shape or texture. The design options are endless! An integral sink might be perfect for you! Take the hassle out of cleaning your kitchen and bathroom; and, have a uniquely crafted product at your home or business. Please contact us for an appointment to visit our studio. Remember… Decorative concrete is handcrafted, durable and unique. We create distinctive decorative concrete; and, we strive to make each customer happy.